As discussed in the previous article in this series, the broad adoption of electronic health records (EHRs) has presented healthcare professionals with numerous challenges. It’s not surprising that many of us are left wondering: Will all of this effort to rapidly adopt EHRs even be worth it in the end? To better understand this, it’s helpful to first take a closer look at the current state of the U.S. healthcare system. In 2000, the Institute of Medicine released their landmark report, To Err is Human, which exposed the alarming number of deaths that occur as a result of medical errors in the U.S. This was a big shock to many who assumed that the American healthcare system was the best in the world. To add insult to injury, we also discovered around that same time that healthcare costs were skyrocketing – in fact, they had doubled from 1993 to 2004. According to the Commonwealth Fund, the United States today has the most expensive healthcare system in the world, spending about $8,500 per capita, or nearly 18% of our GDP, while also consistently ranking dead last in overall performance and quality compared to all other industrialized nations. One can’t help but wonder: What are other countries doing that we’re not? Well, two things in particular stand out when we compare our healthcare system to theirs: 1. A lack of universal healthcare coverage; and 2. A lack of high-functioning, fully-integrated health information systems. It turns out that our international counterparts have surpassed us when it comes to providing high quality, affordable, and accessible healthcare. One of the key elements of their success has been harnessing health IT. Considering all of this, it’s no surprise that we have had bipartisan support for the expansion of EHRs from both Presidents Bush and Obama and that we continue to invest in creating a fully interoperable, nationwide network for health information. If EHRs can be harnessed properly, they promise to deliver lowered healthcare costs, improved quality, increased access, and improved population health. Let’s take another look at those challenges presented in the last part of this series. Where are the opportunities in these challenges? Despite the high costs of implementing new EHR systems, there are also numerous studies that report that high-functioning EHR systems can help to decrease costs in the long run. One study found a 12.9 to 14.7% reduction of duplicative testing with the use of computerized provider order entry (CPOE) and clinical decision support (CDS) in an outpatient setting. Overhead costs may also be decreased through the reduction of chart pulls and from reduced paper, supplies, and storage costs, as well as via decreased transcription costs. Efficiencies can also be gained in billing processes with improved and complete documentation, improvements in the charge and capture process, and through decreases in billing errors. A study from Massachusetts found that paid malpractice claims may also be minimized with use of EHRs vs. paper records (6.1% vs. 10.8% paid claims). It remains to be seen if EHR-induced savings will be favorable versus the cost expenditures required to operate them. But these studies show that there’s reason to be hopeful. Investing in a high-quality EHR system has also been shown, in some studies, to result in higher overall quality, improvements in safety, and decreases in delayed medical decision-making. A study of hospitals in Florida found that those with greater investments in health information technology scored higher in quality measures. A similar study found that those hospitals with greater investments had lower patient complications and lower mortality rates as well. Other research has demonstrated that high-quality EHR systems improved prescribing patterns, too. In these ways, EHRs may support improved outcomes and thereby reduce malpractice and liability risks. Highly interoperable EHR systems have also been credited with improving the communication and coordination of care between providers, and with decreasing delays in medical decision-making that can result from having to wait for the transfer of medical records. A strong health IT system can also enhance communication between providers and patients and help to foster increased patient engagement through the use of applications such as patient portals and interfaces with radiology, laboratory, and medical devices. Patients may be more apt to become actively involved in managing their health and participating in shared decision-making as a result of having easier access to their health information. 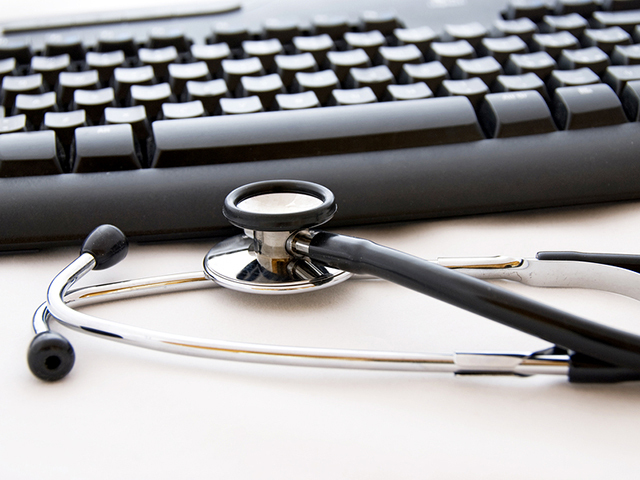 Another advantage of EHRs is that they can help to provide convenient and timely access to a patient’s health record. We’re still a far way away from a fully transparent nationwide (or global) healthcare network, but these advances are coming. In addition, as the telehealth and mHealth market grows, and as we see better integration of other platforms with EHRs, we will likely see a huge revolution in access to personal health information. This need is especially urgent in light of the dire shortage of primary care physicians. Telehealth capabilities of EHRs may very well be the solution to providing access to medical care for patients in underserved or remote regions. As we succeed in integrating systems and improving interoperability, we will have the ability to aggregate huge amounts of health data for entire populations of patients. This “big data” can be used to conduct population health research, which can help identify patterns such as risk factors for diseases. With this, physicians will be better able to recommend preventative measures and evidence-based best practices. This information can also be harnessed to change practice patterns and hopefully, to affect positive healthcare outcomes on a broader scale. EHRs can also help to enhance reporting capabilities, which may help identify potentially dangerous outbreaks or treatment-related risks quickly, so that they can be managed in a more timely and effective manner. EHRs hold a great deal of promise to truly transform our ailing healthcare system. How well we succeed will depend in large part on how we can overcome and manage key challenges affecting cost, interoperability, safety, and patient-centered care. It remains to be seen if the cost-to-benefit will be ultimately favorable, but these preliminary findings and evidence of international success give us reasons to be hopeful. This article was originally published on MedTech Boston.